Quorum Short Robusto Shade is a medium bodied smoke with woody, nutty, and naturally sweet flavor in a unique 3 1/2 x 50 Short Robusto vitola. I challenge any one to find a better cigar for the cost of this little gem. Working on my forth bundle and yet to find a single one to not properly draw. These babies smoke better than many cigars that sell for so much more. Less than $1.30 a piece. This cigar exceeds all expectations..Period..
Wow great light taste with nice burn! I love them. 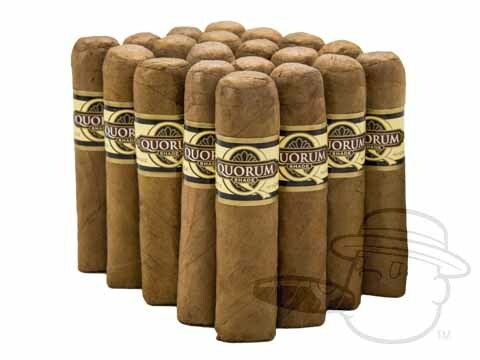 All Quorum cigars are a great value and very good quality. The Shade versions are smooth and have a good burn. Quorum Short Robusto Shade is rated 4.4 out of 5 based on 11 customer ratings.